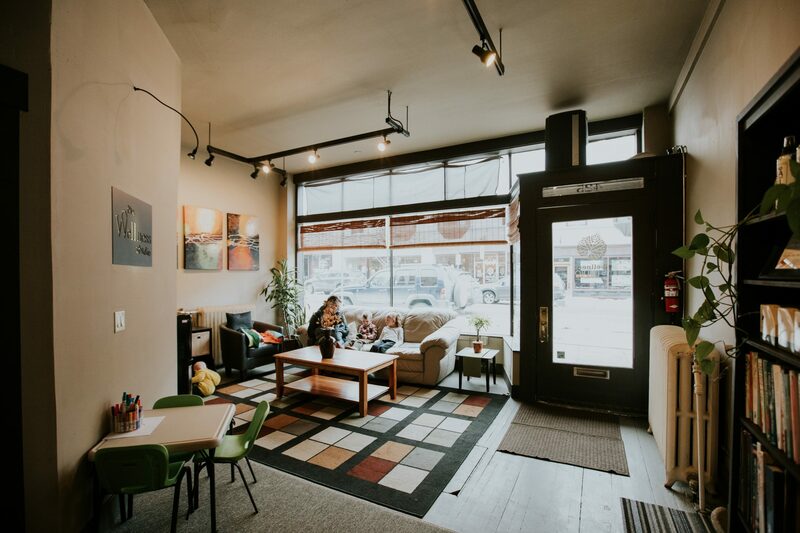 We’ve loved being Helena’s wellness-focused chiropractic studio since 2009. The Wellness Studio has been Helena’s leading chiropractic wellness expert, offering a variety of services to enhance your family’s quality of life with optimal health. We welcome you to discover new and natural ways to achieve a better quality of life and well-being. We serve those of various circumstances, whether you’re experiencing uncomfortable symptoms from a physical job or hobby, are looking for complementary procedures to enhance your self-care regime, or you’re simply curious about leading a healthier lifestyle. Additionally, our expertise in chiropractic care for children as small as newborns and women experiencing pregnancy allows us to assist those in those critical and powerful phases of life. Dr. Julie Vollertsen at The Wellness Studio is here to support you and your family on your journey to a healthy lifestyle. We invite you to contact us to see how we can help you achieve your health goals! Interested in Optimizing Your Health? One visit eased my pain, gave me a new direction. When I was in college, I walked to campus, jogged and swam daily for exercise. Classes never lasted for more than an hour and then I was moving again. In 2003, I graduated from Montana State University with a degree in biology. Once I was working full-time, I soon realized that having a real job was very hard on my body, as my days were spent behind a desk instead of being active. I began to experience frequent, terrible headaches that even caused me to miss work when ibuprofen wasn’t strong enough to help. When a friend asked me if I had tried a chiropractor, I thought she was crazy. My back didn’t hurt and I hadn’t been in a car accident – isn’t that what chiropractors are for? At that point, though, I was ready to try anything, so I made an appointment. That chiropractic visit changed my life. I visited a wonderful doctor of chiropractic who gently adjusted the misalignments in my spine. Amazingly, my headache was instantly gone. Throughout the adjustment, there was no pain and the entire process was surprisingly gentle and soothing. I continued to visit her every few weeks, and eventually my discomfort was completely nonexistent. I was sold. In fact, it seemed that I felt better than I’d ever felt before in nearly all aspects of my life. Soon, I began to learn more about chiropractic and started to understand that chiropractors don’t just move bones in the spine; they affect the nervous system and remove interference from the spinal cord. Chiropractic allows one’s entire body to function optimally. I soon applied to chiropractic school in Bloomington, Minn., and in the summer of 2005, my husband and I moved from Montana so I could study to become a chiropractor. I graduated in April and am very excited to start sharing the benefits of chiropractic, with the hope that it will improve others’ quality of life the same way it did mine. In my own life, chiropractic care not only ended my headaches, but also contributed to an easy and uneventful pregnancy during my last year of school. During this time, I was adjusting patients during my internship, studying to take my final tests, selling our house and moving back to Montana, all while in the last trimester of pregnancy. I was adjusted regularly throughout the pregnancy, which I believe contributed to an enjoyable experience. Even labor and delivery went smoothly because my pelvis and spine were correctly aligned and my nervous system was optimally functioning. From improving digestive issues to addressing ear infections or insomnia, I have seen phenomenal results from chiropractic care. Whether you have aches and pains or if you just want your body to be at its best, there is a chiropractor for you. Who knows, it might just change your life, too. Julie Vollertsen, D.C., lives in Helena, MT with her husband and two children. 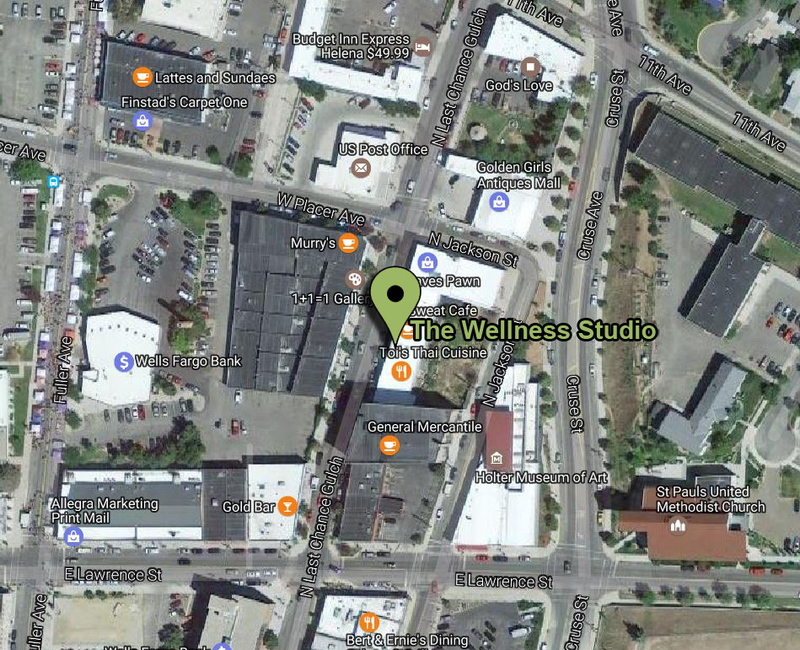 Her chiropractic office, The Wellness Studio, is located at 425 N. Last Chance Gulch. Monday: 2:30 p.m. to 5:30 p.m.
Tuesday: 9:00 a.m – 12:30 p.m.
Wednesday: 2:30 p.m. – 5:30 p.m.